The fourth race in the series took place at Killylane Reservoir and athletes blew the cobwebs away over the 5 mile trail course. A mass start handicap race pitted experienced trail runners against those who were less familiar with the terrain. Prizes were awarded to the top 3 finishers per gender on the day and the overall race winner was the quickest after handicap time had been added. East Coast AC athletes headed to County Down to take part in the annual Christmas Cracker pairs race. 700 pairs entered the 8.5 mile multi-terrain race and endured the difficult course Newcastle AC had set. Each member of the pairing had to cross the finish line together. Well done to our winners and THANK YOU to everyone who supported this. Prizes donated by Bank of Ireland UK, Pure Running & Marty's Catering Services. The third race in the series took place at The Cliff and athletes battled the sodden ground to complete the challenging 2.8m cross country course. A mass start handicap race pitted experienced cross country runners against those who were less familiar with the terrain. 2nd Prize – 2 Grandstand tickets to ERCC match Ulster v La Rochelle on weekend of (12-14 Jan) – Brian Maltman. Thank you to Bank of Ireland UK, Curran Court Hotel, Vermont Press, Pure Running, Marty’s Catering Services, All Stars sports Academy & Tesco for their kind donations and support throughout 2017. Merry Christmas and Seasons Greetings from East Coast Athletic Club. On Saturday 2nd December 2017, almost four hundred runners took on Born 2 Run’s Loughgall 10k race in County Armagh. The event was the third race of the event management company’s popular annual Run Forest Run Series. The course, which measured just short of 6.2 miles, saw competitors complete a short section on the road through the picturesque village of Loughgall, before returning to Loughgall Estate through the impressive main gates. The route then followed the forest paths around the estate, passing Loughgall Golf Course. Brian Maltman, a regular at these events, ran well to record 45:34 for 81st place overall. Ballot tickets for the Christmas draw are now on sale. 1st prize – signed Ulster Rugby Ball, 2nd Prize – 2 Grandstand tickets to ERCC match Ulster v La Rochelle on weekend of (12-14 Jan), 3rd prize – £50 Pure Running Voucher, 4th prize – Christmas Hamper. Please contact any East Coast AC club member if you would like to purchase a ticket (£5 per ticket) to be in with a chance of winning these fantastic prizes – further details to follow. Thank you to Bank of Ireland UK and Pure Running for their kind donations. On Sunday 10th Dec at 2pm Club Captain Chris Davis will host the Annual Poppy's Santa Run in aid of SANDs NI. This is a very festive and fun event and we would encourage everyone to come along in their Christmas attire and soak up the atmosphere. There is a 5K run and a 3k walk. A minimum donation of £5 is asked for entry. The run and walk both leave St John's Masonic Club, Mill Brae at 2pm. 1,000 athletes completed 2.5 laps of Ormeau Park during The Seeley Cup 10k race and East Coast AC athletes had to increase their pace to combat the chilly conditions. Hard work in training is certainly paying off with many athletes scoring a new PB for the distance on the day. This week saw the 2 year anniversary of Larne Junior Parkrun and East Coast Cheetahs & Juniors turned out to celebrate. East Coast AC athletes joined 1000’s of runners worldwide to support the Mark Pollock Trust which strives to find a cure for paralysis. 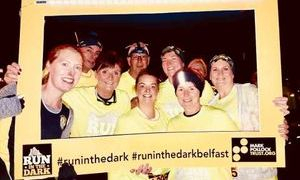 The 5k and 10k races took athletes round the floodlit Stormont Estate under the night sky. Ballot tickets for the Christmas draw are now on sale. 1st prize – signed Ulster Rugby Ball, 2nd Prize – 2 Grandstand tickets to ERCC match Ulster v La Rochelle on weekend of (12-14 Jan), 3rd prize – £50 Pure Running Voucher. Please contact any East Coast AC club member if you would like to purchase a ticket (£5 per ticket) to be in with a chance of winning these fantastic prizes – further details to follow. Thank you to Bank of Ireland UK and Pure Running for their kind donations. Athletes travelled to Tollymore Forest Park and took in the spectacular scenery along the forest trails within the Park. The chilly day and gruelling course did not dampen the spirits of the club members and supporters. Race 2 of the Championship Challenge Series was a tough 10k trail and road race. From a staggered start at Dixon Hall, athletes travelled upwards through Carnfunnock Country Park on undulating paths and trails before descending Daffodil Lane to Mill Vale and Old Glenarm Road. A swift turn onto Croft Road and back to Mill Vale presented athletes with a difficult return journey back up Daffodil Lane and through the Forest Park to Dixon Hall. Each athlete was assigned a handicap time and this determined their delayed start time. 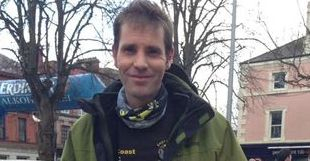 Ian Russell placed 1st overall in the race – handicapped time of (00:58:32). Top 3 ladies and men on the day (excluding handicap time were 1st man – Justin Maxwell (00:44:35), 2nd man – Corey Urwin (00:46:34), 3rd man – Daniel Girvin (00:46:50), 1st lady – Allyson O’Toole (00:53:09), 2nd lady – Jenny Magill (01:00:49), 3rd lady – Karen Monaghan (01:11:36). ECAC Club Championship Races are open to non club members too. Please check the website for details of fixtures across different terrains and distances. Please note only ECAC members are eligible to earn points in the series and win prizes. Ballot tickets for the Christmas draw are now on sale. 1st prize – signed Ulster Rugby Ball, 2nd Prize – 2 Grandstand tickets to ERCC match Ulster v La Rochelle on weekend of (12-14 Jan), 3rd prize – Pure Running Voucher. Please contact any East Coast AC club member or Suzy at Larne RFC if you would like to purchase a ticket (£5 per ticket) to be in with a chance of winning these fantastic prizes – further details to follow. Thank you to Bank of Ireland UK and Pure Running for their kind donations. ECAC Athletes don racing shoes and dancing shoes this week! Athletes set off from The Mary Peters Track and travelled on track, forest trail & county road through the National Trust property at Minnowburn and back along the banks of The Lagan to the finish line at MPT. Calming countryside mixed with the hustle and bustle if the City made for an enjoyable race. Some might say a trip to Ikea deserves a medal and this week East Coast AC athletes got one by taking part in the Decathlon 10k at Holywood Exchange. Much fun was had by all, Happy Birthday to Diane and welcome to the 10k club. The race was not timed and the following athletes represented their club on the day. Dawn Ralph, Diane McKay, Elaine Miller, James Robinson, Karen McFaul, Sharon McCowan and Zara McKay. On Saturday East Coast AC held their latest fundraising event in aid of Larne RNLI at East Antrim Boat Club - 60’s, 70’s & 80’s night. Costumes were fantastic and all enjoyed the music by Derek Reid and the hospitality provided by EABC. Prizes for best costume on the night went to Lucy Ford Hutchinson as Adam Ant and Paula McMaster as an 80’s chick. Proceeds from the event have been added to those of the highly successful 24hr run event in aid of RNLI held in the summer. Please keep an eye out for the annual total. Ballot tickets for the Christmas draw will soon be on sale. 1st prize – signed Ulster Rugby Ball, 2nd Prize – 2 Grandstand tickets to ERCC match Ulster v La Rochelle on weekend of (12-14 Jan), 3rd prize – Pure Running Voucher. Please contact any East Coast AC club member or Suzy at Larne RFC if you would like to purchase a ticket (£5 per ticket) to be in with a chance of winning these fantastic prizes – further details to follow. Thank you to Bank of Ireland UK and Pure Running for their kind donations. MONSTER DASH AND MONSTER MILE PROVE SPOOKTACULAR SUCCESS! 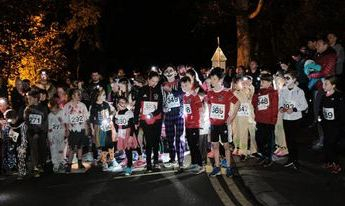 Record numbers entered the Monster Mile this year and children braved the spooky surroundings of Carnfunnock County Park and then enjoyed the tasty BBQ from Marty’s Catering afterwards. The 5k race took athletes through the paths and trails in the forest. Club members had a few surprises in store and screams could be heard from race HQ throughout the race. Running for their lives proved just the ticket and made everyone run just that little bit faster. East Coast AC athletes engulfed the men’s podium, winning all three spots. Thank you to Ballygally Castle Hotel, Tesco Larne and all those participants and helpers who supported the event. Junior athletes travelled to Kilbroney Park, Rostrevor to take part in the highly competitive cross country event. East Coast AC athletes joined a record breaking 20,000 competitors to race through the streets of Dublin. East Coast AC’s next event is a 60’s, 70’ & 80’s Party night on Saturday 4th November. The event takes place in East Antrim Boat Club and doors open at 8pm. All proceeds will go to Larne RLNI and East Coast AC hopes to build on the £5,100 members raised in August for this very worthwhile local charity. Best fancy dress prize up for grabs. 60’s Groove, 70’s Disco or Awesome 80’s - the choice is yours! Tickets cost £5 and may be purchased on the door. Ballot tickets for the Christmas Prize Draw will soon be on sale. 1st prize – signed Ulster Rugby Ball, 2nd Prize – 2 Grandstand tickets to ERCC match Ulster v La Rochelle, 3rd prize – Pure Running Voucher. Please contact any East Coast AC club member or Suzy at Larne RFC if you would like to purchase a ticket (£5 per ticket) to be in with a chance of winning these fantastic prizes – further details to follow. Thank you to Bank of Ireland UK and Pure Running for their kind donations. ICONIC BUSINESS SHOWS SUPPORT FOR LARNE 10K! To us, this means a lot - it allows us to offer a high quality event, which attracts people to Larne... but in addition to this, it's backing from one of our town's most iconic and reputable businesses - a business we have all grown up knowing (and visiting)! 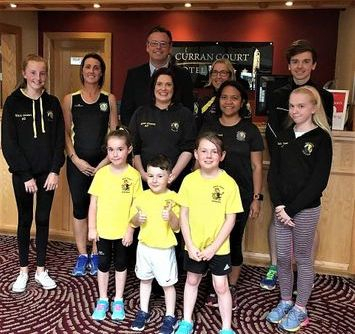 Recently, the Curran Court Hotel has been taken over by local man Brian McRandal, who himself has huge enthusiasm for sport - he represented Northern Ireland at the Commonwealth Games! Today, our members caught up with Deputy General Manager Glenn Mann for some promotional photos! As a club, we, East Coast AC pride ourselves in our ambition and driving things forward - so it's a proud moment to join forces with a business who have done just that! 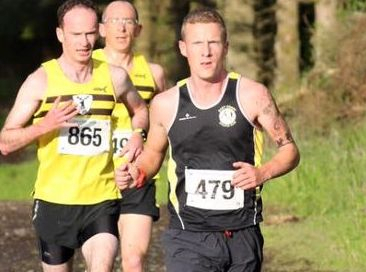 Hewitt & Robinson Perform Well at Laganside 10k! The race started in Ormeau Park and took runners through the park to the Ravenhill Road, Albertbridge Road and onto the Lagan Towpath. On completing a 2nd loop of the towpath and embankment, runners headed back to the finish line in Ormeau Park. 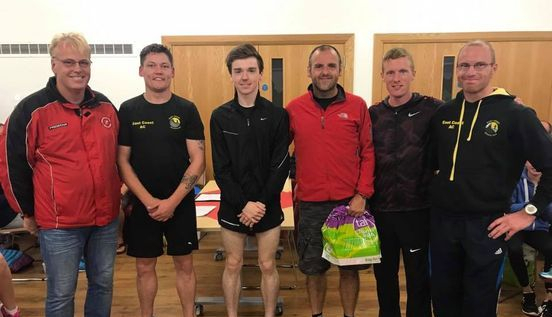 Matthew Hewitt & James Robinson, who were both part of the men’s team who placed 3rd at the East Antrim Inter-Club race on Tuesday were representing their club again. 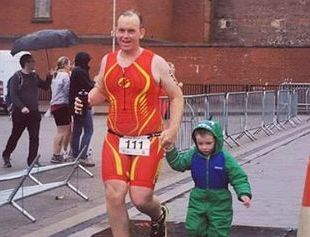 Filbey Completes Belfast Titanic Triathlon! The Belfast Titanic Triathlon is one of the country's biggest and most spectacular triathlons. Transition is based in the iconic Custom House Square. Participants swim in the harbour in the shadow of Titanic Belfast before cycling around the Harbour Estate below the famous cranes. 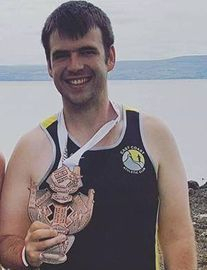 Competing in the olympic event, James Filbey faced a 1500m swim in Belfast Harbour, just below the Lagan Weir, followed by a 38.6k cycle along Belfast’s Donegall Quay towards the Odyssey complex, Holywood Exchange and back to Queen Elizabeth Bridge. The final discipline comprised of a 10k run towards the City Hall before returning to the Titanic area to finish. James finished the swim in a time of 31:32, followed by the cycle in 1:29:37 and then the 10k run in 1:03:17; this equated to a total finish time of 3:08:47 for 256th place overall. ECAC Men Claim 3rd Place at East Antrim Inter-Club Race! Wet weather didn’t dampen the spirit of athletes or supporters and all enjoyed the 4 miles ladies and 5 mile men’s races. The out and back course started at Linford carpark and continued downhill along the Feystown road; this of course meant that the return journey was uphill and almost 50 East Coast athletes dug deep to complete the race before heading to Ballygally hall for well earned refreshments. The men’s team event counted each club’s first 6 competitors and the ladies race top 4 competitors. East Coast AC men earned 111 points and placed 3rd overall. Top 3 individuals also received a prize. 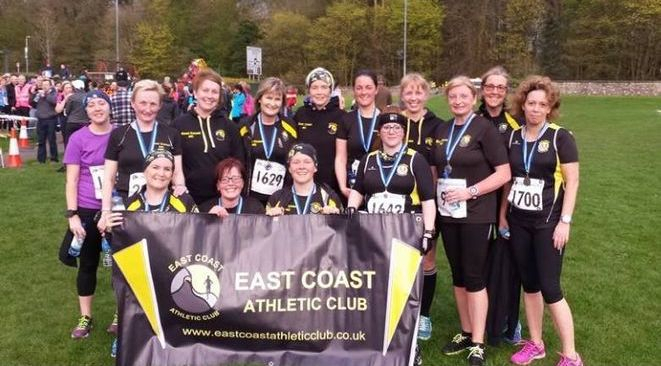 Thank you to Larne AC for inviting East Coast AC to take part again this year. 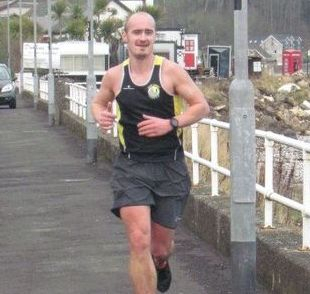 James Robinson Wins Rathlin Run 5k! 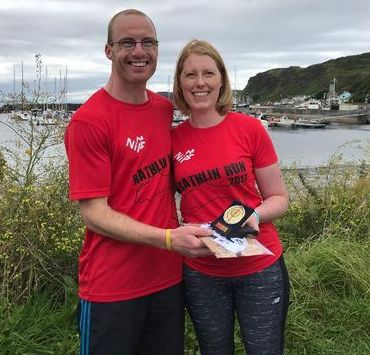 Rathlin Island is situated approximately 6 miles off the coast of Ballycastle, which means that athletes have to travel by ferry to the race – this coupled with the tough undulating course makes it one of the provinces most unique running experiences. The event, hosted by NiRunning with assistance from well-respected charity Belfast Activity Centre (BAC), offers participants the choice of a 10 mile race, or a 5k race. In good running conditions the runners set off on the 10 mile route, which would see them reach the island’s west light house and RSPB Centre, before making their way back to the atmospheric start/finish area at Church Bay. Alex Robertson finished the challenging run in a time of 1:16:46 for 34th place. James Robinson, a coach at ECAC won the 5k in 19:31. Brian Maltman was next in 21:44 for 6th place, while Steven Kerr took a top ten spot in 25:04 (9th place). Fiona Swann bettered her 2016 time by 2 minutes when she crossed the line in 30:17 (30th place overall). Catherine Beggs and Ruth Maltman crossed the line side by side in 36:18 (54th place & 55th place overall), with Diane McKay following in 39:14 (60th place overall). After his 2 hour charity run in the early hours of Saturday (19th August 2017) morning, Justin Maxwell went on to compete in the East Antrim Marathon Series Knockagh Challenge; a brutal 3 lap course which included ascents from Greenlisland to the Knockagh Monument, totalling 31 miles! Justin won this event in a time of 3:44:36 (1st place)! 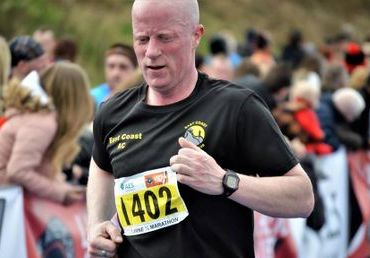 Keith Hetherington also took part in the 10.3mile race which was one lap from Greenisland to Knockagh Monument and back. Keith recorded 1:33:09 for 13th place. On Sunday (20th August 2017) Cyndy Hay and James Filbey took on the inaugural Run Connswater 10k in Belfast. James clocked 56:32 for 226th place, while Cyndy finished in 1:11:29 (401st place overall). EAST COAST AC 24-HOUR RUN CHARITY CHALLENGE FOR RNLI LARNE! Mission COMPLETE and what a day it was! Members of East Coast AC and Members/Friends of RNLI ran a staggering 1,046.35 miles over the course of 24 hours! Our East Coast AC Juniors completed a 26.2 mile marathon relay in an amazing 2:47:44. Our East Coast AC Cheetahs completed a relay 10k in 54:30. Generous donations means that we raised £4,805 today, then adding to that £256 raised at our recent prize-giving, equals £5,061 raised so far this year for RNLI Larne. This total will rise In the coming days with further donations coming in. Also, a shout out to our amazing members who made this event possible! Again, you have done our club proud - THANK YOU! Conor Sheridan Completes 4 Day Quadrathon! 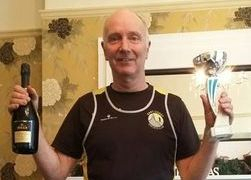 Conor Sheridan completed the 4 day Quadrathon event from Thursday to Sunday (20th August 2017). 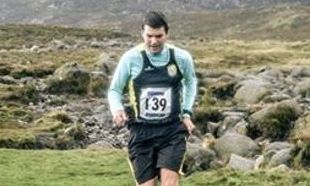 This comprised of a half marathon each day based in the rugged landscapes, and at times, hilly terrain of Donegal. Conor placed 23rd overall with a total time of 7:53:22. This was made up of a Day 1 (Kinnego Bay Half Marathon) time of 1:59:24 (24th place), followed by a Day 2 (Malin Head Half Marathon) time of 1:58:25 (18th place), then a Day 3 (Mamore Half Marathon) time of 2:04:57 (28th place), and finally a Day 4 (Muff Half Marathon) time of 1:50:36 (25th place). Personal Best for Dougherty at Acorns Blue Belles! Jemma Dougherty ventured into road racing and completed her 1st road race - Acorns AC Blue Belles 5k in Magherafelt in a time of 33:14 which is a NEW PB over this distance. Juniors Impress at Dalriada Festival! East Coast Cheetahs & Juniors took part in age group Invictus Duathlons which consisted of a short run through the grounds of Glenarm Estate, a bike ride and a further run to the finish. 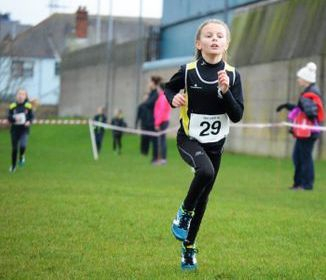 Keeva Bell (12) placed 1st in the 12 and under age group race - 400m run, 2.5km cycle and 400m run. Brothers, Jonnie (8) and Rory (6) Kennedy & Saoirse Bell (6) completed the 8 and under race - 250m run, 1.5km cycle and 250m run. Birthday boy Jonnie placed 2nd and Rory 3rd. Dallan Bell (9) completed the 10 and under group race - 250m run, 1.5km cycle and 250m run. He showed East Coast grit and determination to complete the race after a collision at the transition stage left him outside a podium finish. Corey Urwin battled the elements in a wet and windy sprint triathlon that consisted of a 750m sea swim, 20km bike ride inland, up and above Glenarm village and a fast & flat 5km run through the scenic grounds of Glenarm Castle Estate. Corey performed well in the cycle and run disciplines after a difficult swim and out of a 111 entrants, finished in 18th place in a time of 1:18:40. Races took place through Glenarm village, Castle and Forest and both juniors and seniors turned out in style for the 5k and 10k races. 14/07/17 - Born2Run Sea 2 Sky 10k took place in Newcastle Co. Down and featured a mix of road and track through the foothills of the Mournes on a rainy evening. The course started on the promenade and led athletes up a tough off road course with 500ft of climb before descending back to the finish line on the promenade. On his 1st attempt, Stephen Allen didn’t hang about to take in the beautiful scenery and completed the race in 51:32 placing 208 in a field of 626. 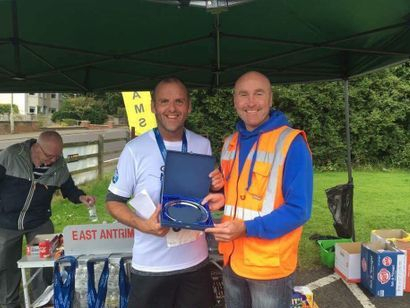 Weekend Roundup - Jude Gallagher & Ards Half Marathon! Out of 734 finishers, Conor Sheridan placed 274 in a time of 01:47:35 and Stephen Allen placed 298 in 01:49:24. ECAC Championship Challenge Series was hotly contested and this week saw the final race of the series. Athletes competed in 11 races throughout the year that posed different challenges - uphill, downhill, trail, road, cross country, mountain and fell. Firm favourite was the Members Choice race that required participants to race from Knockdhu car park to Ballygally covering a distance of 5k. The series is all inclusive and the field included International Athletes, those who completed the recent couch to 5k program and everyone in between with each member encouraging each other to do their very best. Thanks to Ballygally Hall for use of the facilities before and after the race. 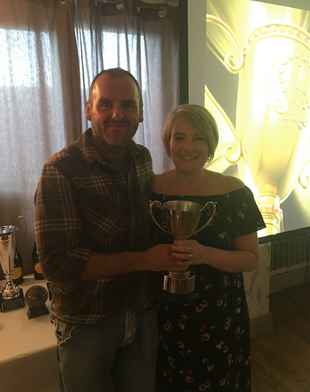 Once the final race scores were added on to the series standings, the winner of the overall Series was awarded to Nikki McNeill, with James Robinson in 2nd place and Lynn Magee in 3rd place. Athletes Impress over 5k & 4 Mile races! 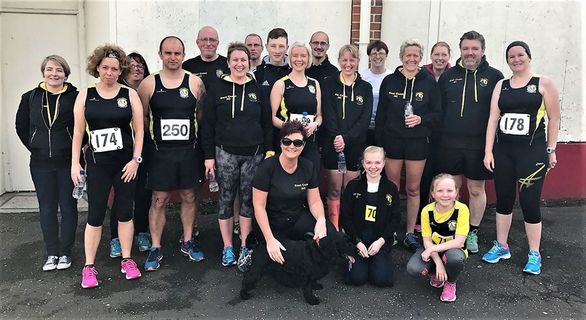 On Friday 2nd June 2017, a record number of close to three hundred athletes descended on Duncrue Industrial Estate in Belfast for the annual Albertville 4 mile Road Race, an event hosted by Albertville Harriers. 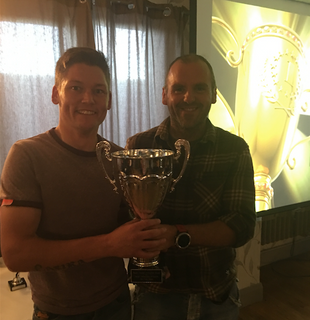 The flat and fast course provided the perfect opportunity for an excellent race and the East Coast AC duo of Phil Smyth and Brian Maltman duly delivered. Phil recorded 27:15 to secure 67th place, while Brian followed just seconds later in 27:28 for 70th place overall. On Saturday 3rd June 2017, at Stormont Estate in Belfast, James Filbey took a top ten place in the Fields of Life 5k. James recorded 27:17 for 10th place overall. 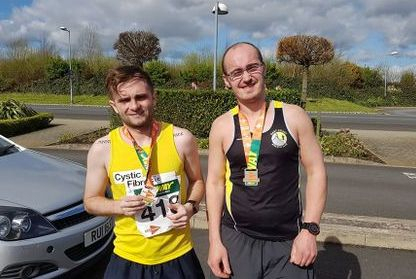 Martin & Hetherington Impress at Newry City Half Marathon! On Sunday 28th May 2017, nearly one thousand athletes took to the streets of Newry City for the annual Newry City Marathon Events, a festival of running which offered competitors the choice of a marathon, half marathon or 10k road races. 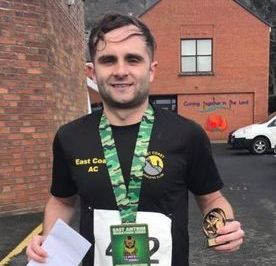 In the half marathon, Robert Martin once again took to a start line just one day after his strong performance at the May Fair 10k. Robert made the top 100 when he recorded 1:40:13 for 99th place. Keith Hetherington was next to finish, clocking 1:49:35 and taking 201st place overall. 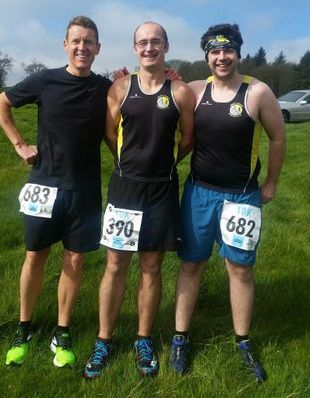 Dix, Lynch & Robinson Lead the way at May Fair 10k! On Saturday 27th May 2017, well over four hundred athletes descended on Ballyclare Rugby Club for the annual Mayfair 10k and 5k road races, a well-organised event hosted by County Antrim Harriers, the event was also the 9th race of the East Coast AC Championship Challenge Series. Kevin Lynch was the first East Coast AC member to finish the 10k race, doing so in fine fashion with a clocking of 40:27 (27th place). James Robinson was hot on Kevin’s heels throughout the event, finishing just behind him in 40:51 for 28th place. 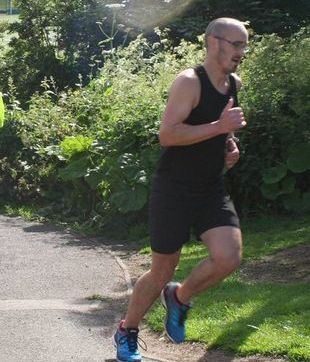 Next was Phil Smyth who has been recording personal bests almost every week at parkrun events, this run was just as impressive when he finished in 44:50, claiming 57th place overall. Robert Martin and Iain Bailie were another East Coast AC pairing who both ran well and worked hard together around the course, finishing in quick succession of each other, Robert was 65th in 45:36 and Iain was 68th place in 45:53. Brian Maltman made his return to racing after an injury, running 46:44 for the distance to claim 80th place. 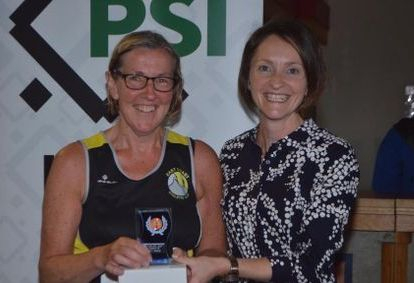 Lesley Robinson claimed the title of fastest East Coast AC lady when she recorded a new personal best of 51:54 (22nd place lady), all the more impressive given than Lesley is only returning to full training after a period of injury. Alan Glover followed in 52:38 (144th place), before Nikki McNeill in 53:06 (125th place lady). Polly Dix was crowned the winner of the Championship Race when she finished in 54:12 (30th place lady), followed by Lynn Magee in 54:43 (34th place lady). Lisa Graham was the next member to finish, crossing the line in 56:45 (47th place lady). Tracey Parke looked strong as she turned the final corner into the finish area, recording 57:57 for the distance (55th place lady). Morna Wright celebrated her birthday weekend with a category win when she finished in 59:24, which was also 63rd placed lady. Dawn Ralph took minutes off her 2016 time at the event when she finished in 1:04:03 (77th place lady), Dawn was followed by Steph Bird in 1:17:19 (89th place lady). 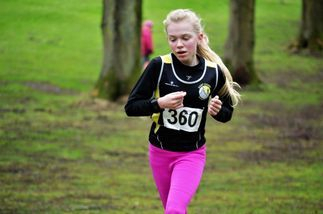 In the 5k event, Charlotte Dean led the way with a time of 26:37 which achieved 22nd place in the ladies category and 9th place female junior. Zara McKay was next in 28:35 (38th place lady), followed by Diane McKay in 38:14 (109th place lady). East Coast AC Ladies Turn Out for Runher! On Friday 26th May 2017, close to one thousand ladies, including five from East Coast AC took on the annual Runher Coastal 10k and 5k races on the County Down shoreline, an event hosted by local running shop Pure Running. 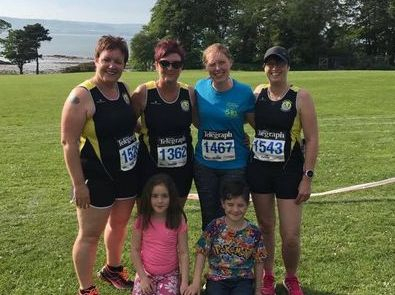 On a warm and humid evening, the 10k athletes started at Seapark close to Holywood and followed the coastal path, past Rockport (where the 5k started) and onwards to the atmospheric finish at Crawfordsburn Country Park near Bangor. The 5k event kicked off first and it was Catherine Maxwell who led the way for the ECAC ladies; Catherine made her return to competitive racing after a year off, and recorded 32:16 for the distance (48th place). Fiona Swann was next in 33:28 (56th place), before friends Catherine Beggs and Donna Robertson had a sprint to the finish line together. Donna just edged clear, crossing the line in 40:32 for 151st place, with Catherine following six seconds later in 50:38 (152nd place). Valerie Lyttle braved the warm conditions in the 10k event which started 30 minutes after the 5k. Valerie ran well to record 1:10:15 for 503rd place. Kenny Holmes Returns to Competitive Action at Jengana 10k! On Saturday 13th May 2017, Kenny Holmes traveled to Shanes Castle Estate in Antrim for the 5th annual Jengana 10k race, a well-organised event which covered a stunning course within the confines of the popular County Antrim Estate. 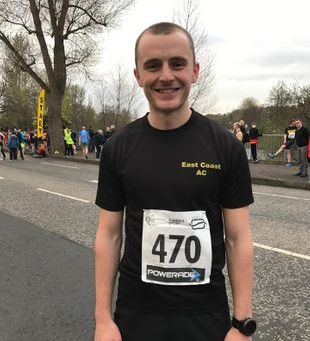 After a long period off due to injury, Kenny returned to competitive action by recording a time of 47:44 which secured him 36th place out of a total of 125 other competitors. Dallan Bell Impresses over Track & Field Events! On Wednesday 10th May 2017, Dallan Bell travelled to Bangor Sportsplex for the North Down AC Track & Field Meet for Primary School Minis. In the Primary 5 races, Dallan competed in the 60m, the 600m and the 0.75kg discus. In the 60m race, Dallan had a sprint to the finish line and narrowly missed out on the podium when he finished in 4th place with a time of 10.7 (3rd place was also 10.7). Dallan claimed 7th place in the 600m race when he crossed the line in a time of 2:20.9. In the discus event, the young athlete impressed yet again, throwing 9.96m for 4th place. Kelly Deller Wins Brustin Brae Challenge! On Tuesday (9th May 2017), the club held the eighth race in its popular Championship Challenge Race; the Brustin Brae Challenge. Congratulations to all who took part, especially Kelly Deller who was the first finisher and won the event. Geraldine Dalton was the fastest lady on the night and Murray Deller was the fastest male. 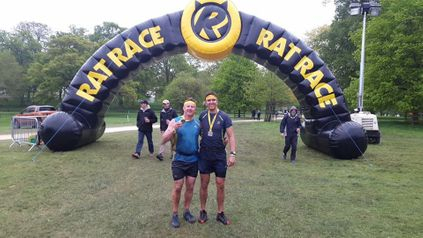 Gary Hawe Completes Rat Race Challenge! On Saturday 6th May 2017, Gary Hawe completed the world’s biggest and best obstacle racing weekend which offered 20 miles jampacked with 200 obstacles. Gary finished in a time of 6:25:01 which secured 1932nd place out of almost 4000 competitors. Patterson Leads the Way at NiRunning Mile! On Friday 5th June 2017, a record number of over two hundred competitors descended on the sun soaked home of athletics in Northern Ireland, the Mary Peters Track, for the 5th annual ‘NiRunning Mile’ event, which once again was endorsed by the highly respected British Milers Club (BMC). The evening kicked off with two junior ‘fun mile’ races coordinated by Allstars NI Sports Academy, before the more competitive athletes took to the start-line. Mark Date and Annie Deller both ran well in the fun mile race. 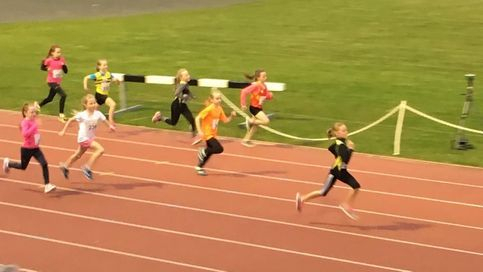 The first main race of the night was the Under 10’s event. 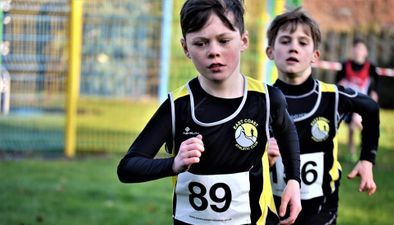 Keilan McManus took part in the Under 10 Boys race and recorded a mile time of 7:59.57 (188th place overall) which was 10th place in his race and impressive given that the 7 year old was the youngest competitor on the night (excluding the fun mile). The under 12’s race was next and Charlie Patterson lined up alongside 13 other boys for the Junior Boy’s Under 12 race. Charlie clocked 5:50.81 for 2nd place (65th place overall). Mark Dean was in the next event which was the 9-10 minute mile race; Mark ran well to cover the distance in a time of 8:15.34 which secured him 8th place in his heat and 192nd place overall. Marks daughter Charlotte took to the start line of the 7-8 minute mile heats where she ran 7:20.42 for 8th place in her heat and 21st place in the junior female category; this time was also 3 seconds quicker than her 2016 time at the same event. Kelly Patterson had a great run in the 6-7 minute mile race, where she competed in the most popular heat of the night with a total of 19 athletes on the track. Kelly recorded 5:57.36 which took 3rd place in her heat and also 4th place in the junior female category and 8th placed lady overall. This was also 4 seconds quicker than Kelly’s 2016 time at the same event. Although in separate heats, Conor Sheridan and Lionel Date both competed in the 6-7 minute mile races. Conor claimed 4th place in his heat with a time of 5:54.58 which was also 68th place overall, and Lionel clocked 6:55.21 for 8th place in his heat and 141st place overall. NiRunning would like to thank the East Coast AC volunteers who helped make the event possible. 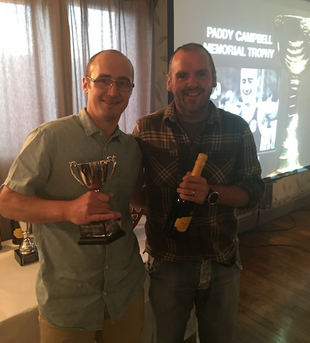 Campbell & Martin Take on Marathon Challenge! East Coast AC members Robert Martin and Angela Campbell joined over 15,000 competitors on the streets of Belfast this May Day Bank Holiday (Monday 1st May 2017) for the 36th annual Deep RiverRock Belfast City Marathon. 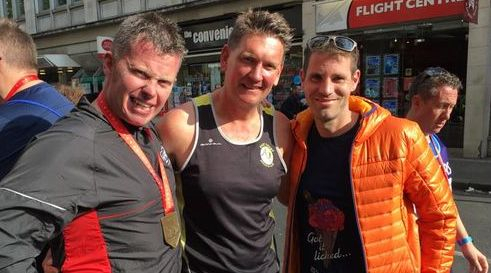 The biggest sporting event in the Northern Ireland calendar lived up to expectations with some 2,600 taking on the 26.2 mile race and another massive entry of nearly 2,000 five person relay teams. The marathon kicked off at Belfast City Hall and took in an undulating course that saw athletes make their way to the finish line in Ormeau Park, via East, North, West and South Belfast, as well as a section in Newtownabbey. Robert Martin, running to raise funds for Cystic Fibrosis covered the 26.2 mile route in a time of 4:01:49. Running in her first ever marathon, Angela Campbell finished in a time of 4:49:57. A special mention must also go to Valerie Lyttle, Karl Joyce and David Finlay who ran in relay teams as part of the event. Filbey Completes Liam Ball Triathlon! 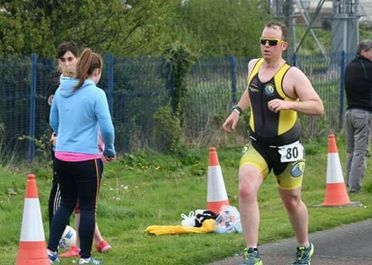 On Sunday 30th April 2017, James Filbey kicked off his triathlon season with a superb performance in the popular Liam Ball Triathlon in Derry/Londonderry. James finished in a time of 1:28:36 for 105th place overall. James completed the 750m swim in 14:38, then covered the 20k cycle course in 45:17, before completing the 5k run in 26:28. Juniors Impress at Firmus Energy Super 6 Once Again! The second event of the Firmus Energy Super 6 Series was held on Thursday (27th April 2017) evening at the home of Athletics in Northern Ireland; the Mary Peters’ Track in Belfast. A number of the club’s growing junior squad took part in the meet across a variety of distances and disciplines. The evening kicked off with the Mini Boys and Girls track and field events. Hannah O’Toole ran well in the Mini Girls 150m race, clocking 26.01 for the distance which secured 13th place overall and 5th place in her heat. Charlie Patterson and Jake Dempsey competed in the Under 13 Boys events; the first of which was the 200m. Charlie finished in 11th place overall (and 4th place in his heat) with a time of 32.10 and Jake was 21st place overall (and 7th place in his heat) with a time of 35.88. in the 800m race, Jake ran well clocking 3:09.17 which secured 15th place overall. Charlie Patterson claimed 5th place in the High Jump when he jumped a height of 1.10m. 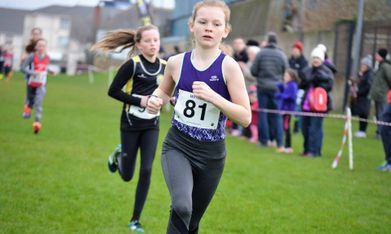 Zoe Whitford represented the club in the Under 13 Girls events, the first one being the 200m race where Zoe ran a time of 37.34 for 25th place overall and 8th place in her heat. In the High Jump event, Zoe finished in 14th place when she jumped a height of 1.05m. Kelly Patterson performed well in her Under 15 Girl category; Kelly ran a time of 30.40 in the 200m which secured 14th place overall and 5th place in her heat. In the Shot Put, Kelly threw 5.84m for 11th place overall. Kelly also had a good performance in the 500g Javelin event, throwing 14.67m (8th place). Jessica McClements competed in the Under 17 events which included the 200m and 800m track races. Jessica secured 8th place in both events; she clocked 31.17 for the 200m and 2:49.66 for 800m. On Sunday 23rd April 2017, thousands of runners were in action at the World’s most famous race, the Virgin Money London Marathon in England. Five hardy East Coast AC athletes took to the start line of what is arguably the most iconic and best race in the world, ready for their 26.2 mile journey through the streets of London. Unfortunately Matthew Hewitt had to withdraw due to injury after 25k - a tough but very wise decision. The impressive athlete was running well prior to this and on track for a 2:40 finish and personal best; we all wish Matty a speedy recovery! 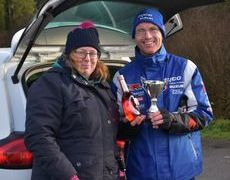 Patterson Claims Victory at Whitehead Easter Monday Race! 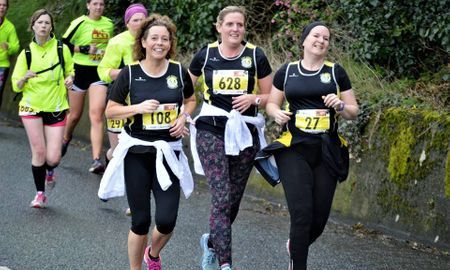 On Monday 17th April 2017, well over two hundred athletes descended on the County Antrim village of Whitehead for the long-standing Whitehead 5 mile Road Race, an event which has now become almost compulsory on every runner's calendar. The race was also included as Race 7 in the Club’s popular Championship Challenge Series and therefore, there was a large East Coast AC contingent toeing the start line. Athletes covered a three lap route, starting and finishing in the village’s atmospheric Main Street. James Robinson was the first member to finish, doing so in a time of 32:43 for 39th place. Robert Martin was the next finisher, claiming 65th place in 35:41. Iain Bailie had a strong run ahead of his upcoming London Marathon; Iain covered the course in 36:54 which secured 78th place overall. Lionel Date and Alan Glover had an exciting sprint to the finish line, but it was Lionel who edged clear, finishing in 37:59 (93rd place), with Alan following just one second later in 38:00 (94th place). Paula Urwin was the first of the club’s ladies to finish, doing so in a top 100 position and time of 38:20 (99th place). David Finlay was next, clocking 40:00 to claim 113th place overall. Nikki McNeill was the next of the club’s ladies to complete the three lap course, Nikki finished in 40:14 to secure 116th place overall, followed by Lynn Magee in 41:15 (121st place). Polly Dix ran well with a finish time of 42:24 (123rd place), before Lisa Graham crossed the line in 43:53 for 134th place overall. Emma McKeown was cheered into the finishing straight by family and friends, clocking 44:15 (137th place) for the 5 mile course. Sally McKeown was next to finish, claiming 155th place when she ran a time of 46:48. Dawn Ralph bettered her 2016 time at the same event by approximately eight minutes when she finished in 48:50 (166th place). Unfortunately Alex Robertson had to withdraw from the race after a fall in the final lap, we all wish Alex a speedy recovery. It wasn’t just the seniors in the 5 mile event that impressed on Monday, but also the juniors who took part in the one lap, 1.6 mile fun run. Charlie Patterson had a strong run to finish in 2nd place overall, with young Dallan Bell finishing in 4th place. Kelly Patterson secured 1st place in the girls race, with Charlotte Dean and Matilda Dean both running well and finishing well up the field. Juniors Impress at Firmus Energy Super 6 Series Opener! The first event of the Firmus Energy Super 6 Series was held on Thursday (13th April 2017) evening at the home of Athletics in Northern Ireland; the Mary Peters’ Track in Belfast. A number of the club’s growing junior squad took part in the meet across a variety of distances and disciplines. The evening kicked off with the Mini Boys and Girls track and field events. Dallan Bell competed in both the 80m and Long Jump; he claimed 13th place out of 23 in the 80m race when he clocked 14:19 and 13th place out of 18 in the Long Jump with a jump of 2.57m. Both Hannah O’Toole and Matilda Dean competed in the Mini Girls 900m; Hannah impressed with a 5th place finish out of 24 in a time of 3:25.57, followed by Matilda in 4:29.51 (22nd place). In the Under 13 Boys events, Jake Dempsey took on the 100m race and the Long Jump. Jake ran well in the 100m with a time of 16.33 claiming 20th place out of 30. In the Long Jump, Jake covered a distance of 2.66m for 23rd place. Charlotte Dean ran well in the Under 13 Girls 100m with a time of 16.54; this achieved 21st place out of 31. Both Kelly Patterson and Keeva Bell competed in the Under 15 Girls events which included a 100m run, 1500m run and High Jump (Keeva only). Kelly claimed a top ten place in the 100m with a time of 14.29 (8th place), followed by Keeva in 14.87 (16th place out of 27). In the 1500m race, Kelly achieved another top ten, this time 9th in 5:29.29, followed by Keeva in 6:01.92 (19th place out of 24). In her third event of the night, the High Jump, Keeva impressed with an 8th place finish out of 13 when she jumped 1.25m. The next meet is April 27th 2017 at Mary Peters’ Track. Vasey Completes Hill & Dale Series Opener! On Thursday 13th April 2017, just shy of three hundred athletes descended on the scenic Castlewellan Country Park in County Down for the first race of this year's Hill & Dale Series, an increasingly popular eleven race Series hosted by Newcastle AC. The Series opener measured approximately 5 miles in distance and incorporated 900ft of ascent. 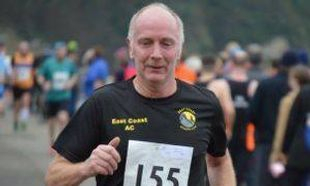 Richard Vasey represented East Coast AC at the event and ran well to finish in 95th place with a time of 43:49 and 10th place in his category. ECAC Ladies Turn Out for Ballymena Belles! On Tuesday 11th April 2017, well over three hundred athletes from across the province turned out for the 4th annual Ballymena Belles 5 mile road race in Ballymena, a ladies only event organised by Ballymena Runners and one which has always been popular with the East Coast AC ladies. 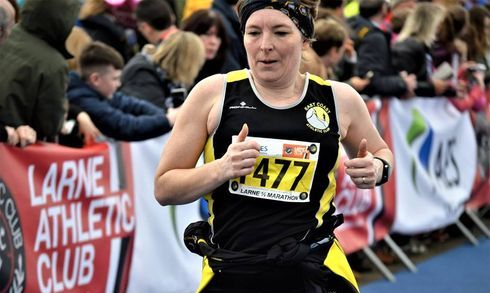 In blustery conditions, it was the in-form Nikki McNeill who led the way for the East Coast AC ladies when she crossed the line in a time of 42:11 (62nd place). Lynn Magee was next in a time of 44:11 (93rd place), followed by Glenda Stewart in 45:24 (111th place). Lisa Graham was the 122nd when she crossed the line in 45:48, before Tracey Parke clocked 46:08 for 126th place. Mags Clements ran well, recording 48:02 for the distance (162nd place), followed just seconds later by Glenda Girvin who made a welcome return to competitive racing when she finished in 48:11 (171st place). Sally McKeown was the next ECAC runner to finish, doing so in 49:08, claiming 186th place. Morna Wright and Dawn Ralph both ran well, with Morna running 49:33 (193rd place) and Dawn 51:00 (224th place). Friends and training partners Sharon Kirkpatrick and Kelly Deller ran together and although both recorded a time of 52:02 it was Sharon who was awarded 243rd place and Kelly 244th place. 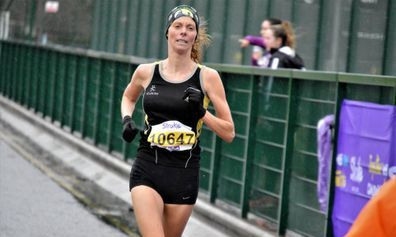 Valerie Lyttle covered the 5 mile course in 53:59 (265th place), with Doris Kirby (54:31 - 268th place) and Karen McFaul (54:28 – 270th place) both following in quick succession. 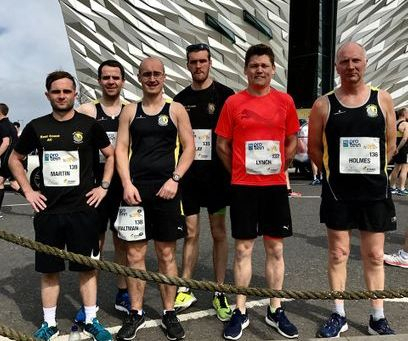 Lynch Leads the Way at Titanic Quarter 10k! On Sunday 9th April 2017, East Coast AC members joined housands of other athletes on the roads of the famous Titanic Quarter of Belfast for the Titanic Quarter 10k, an event hosted by Athletics NI and this year sponsored by Dale Farm Protein Milk. In warm and blustery conditions, it was Kevin Lynch who led the way for the club. Kevin recorded 40:29 for 110th place, followed by Robert Martin who clocked 43:58 for 180th place. Although he raced the day before at the Castle Ward Half Marathon, Brian Maltman had a strong run, finishing in 218th place with a time of 45:59. Michael Stranney was next in 45:41 (223rd place), before Kenny Holmes in 47:53 (276th place). Friends Karl Joyce and David Finlay both ran well with times of 49:33 (330th place) and 51:55 (384th place and new personal best) respectively. 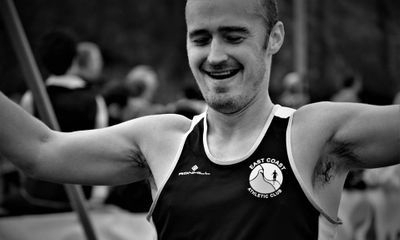 Unfortunately East Coast AC Club Captain Chris Davis had to withdraw from the race due to injury, we all wish Chris a speedy recovery. In the 1 mile fun run prior to the main 10k event, Soren Stranney represented the East Coast AC Cheetahs with a finish time of 9:31 which secured him 107th place overall. ECAC Trio take on Castle Ward Half Marathon! On Saturday 8th April 2017, local events management company Born 2 Run welcomed hundreds of athletes to the stunning Castle Ward Estate for the 6th annual Castle Ward Challenge Half Marathon, 10k and new this year, 5k race. 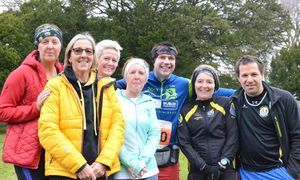 The start line was in the shadow of the majestic 18th century Castle Ward mansion and runners enjoyed a tour through the estate which is combination of forest trail, open pastures and shoreline paths along the banks of Strangford Lough. In the half marathon, both Phil Smyth and Brian Maltman who have been impressing of late, didn’t disappoint. The duo ran well, with Brian claiming 11th place in 46:18 and Phil finishing just seconds later in 46:25 for 12th place. Conor Sheridan, a regular at these events, also had a good run when he crossed the line in 50:26, taking 34th place overall. 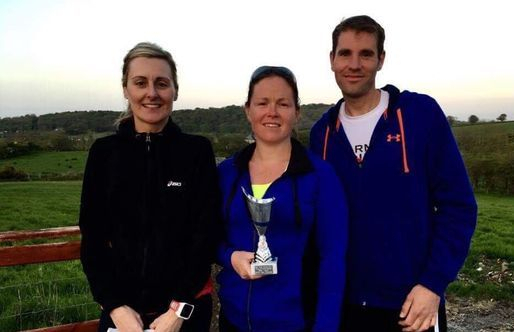 Members Impress over Half Marathon Distance! On Saturday 1st April 2017, Justin Maxwell joined thousands of other athletes as he took on the 28th annual SPAR Omagh Half Marathon. In wet and windy conditions, the club chairman led by example with an impressive run. Returning to the roads after a couple of years representing Ireland and Northern Ireland on the trails and mountains all over the world, Justin recorded 1:15:16 for 9th place earlier today - this was just short of his 1:14:59 personal best for the distance but bodes well for some upcoming events. 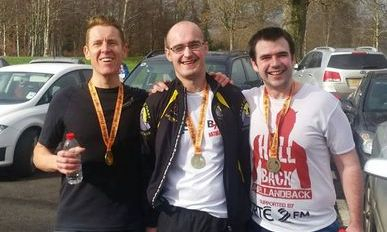 On Sunday 2nd April 2017, Robert Martin and Brian Maltman travelled to Holywood Exchange just outside Belfast for the inaugural Subway Holywood Exchange Half Marathon and 10k road races. The Half Marathon was also part of the prestigious Pure Running Half Marathon Series 2017. The Half Marathon route covered two laps of an ‘out and back’ route with a turning point on Airport Road West before following the same road all the way back through Tillysburn Gates and onwards towards the finish line back at Holywood Exchange. The event was organised in conjunction with Charity Partner ‘The MS Society’ and a guaranteed percentage of each entry fee will go directly to The MS Society. The in-form Brian Maltman recorded a new personal best for the distance when he crossed the line in a time of 1:37:16, claiming 72nd place. 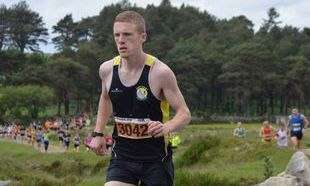 Fresh from his win at the previous days Knockagh Challenge, Robert Martin clocked 1:42:56 and took 103rd place overall. 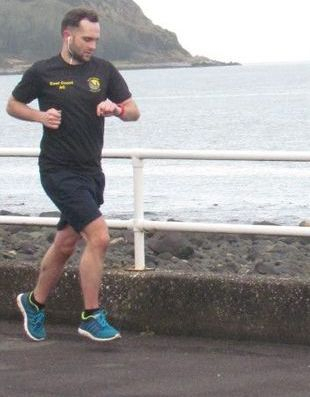 This was Robert’s second ‘challenge’ event in his 8 events for Cystic Fibrosis, he hopes to raise as much funds as possible to inspire other CF sufferers; to donate please visit Roberts justgiving page at https://www.justgiving.com/fundraising/Robert-Martin20. Robert Martin Wins Knockagh Challenge! On Saturday 1st April 2017, Robert Martin and Conor Sheridan completed the Knockagh Challenge race hosted by the East Antrim Marathon Series. The race started in Greenisland and made its way up to the iconic Knockagh Monument, and made its way back down to the finish in Greenland. Robert finished 1st on the tough course, which is an excellent reward for his hard work and dedication in training. Conor Sheridan also had a great run and secured 4th place overall. Girvin Leads the Way at Queen's 5k! 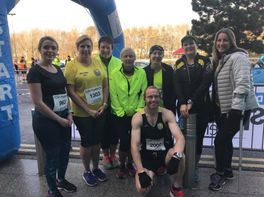 On Wednesday 29th March 2017, a number of our members took on the Queen's 5k road race (inc NI & Ulster 5k Championships) and the associated 3k road race in Belfast, with all performing brilliantly. 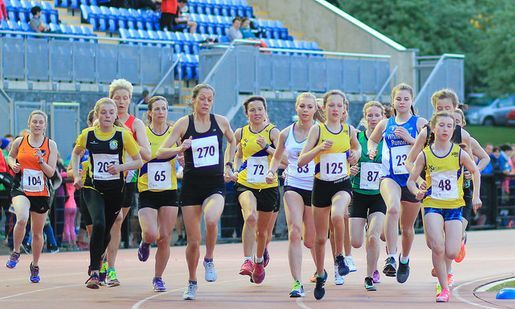 Approximately 1,000 competitors took part in the event, with Daniel Girvin, James Robinson, Matthew Hewitt and Katie Glover lining up in the 5k and junior star Hannah Clements competing in the 3k. Unfortunately Matthew was forced to withdraw after two laps due to injury - everyone at East Coast AC wishes him a speedy recovery! Record Numbers Turn Out for Larne Half Marathon! A total of Fifty One East Coast AC members joined a record breaking field of close to 2,000 athletes for the AES Larne Half Marathon on Saturday 18th March 2017. 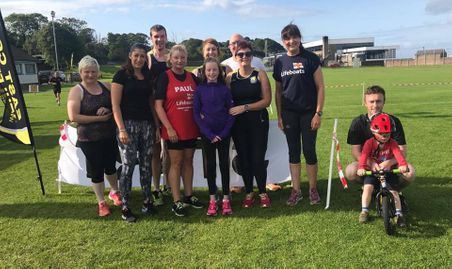 The Larne AC hosted event is the highlight of many a racing calendar and was also part of the Pure Running Half Marathon Series. The previous day’s torrential rain and high winds thankfully subsided and conditions proved excellent, albeit slightly windy in places. 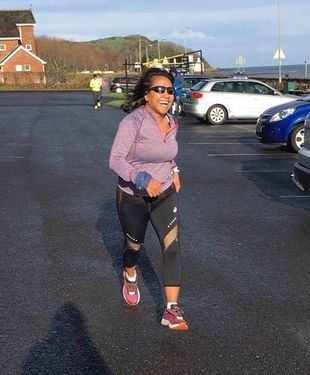 Once the seemingly endless field of runners set off on the newly revised 13.1 mile journey which would take them along the famous County Antrim coastline, between Larne and Ballygally, they first had to negotiate two miles around the Town Centre. The middle section of the course was a hilly inland section in Cairncastle, before returning to the Coast Road. The first of the black and yellow ECAC crew to finish was club chairman, Justin Maxwell who crossed the line in 1:20:48 to take 34th place. Kevin Lynch was next, and although suffering from illness, the ever improving athlete still managed a new personal best of 1:28:50 for 121st place. Corey Urwin claimed the title of ‘fastest pram’ when he clocked 1:31:24 while pushing son Alfie (who slept the entire 13.1 mile course) in the pram (176th place). Murray Deller and Chris Davis finished just seconds apart, with Murray recording 1:32:53 (187th place), and Chris achieving a new personal best of 1:32:47 (188th place). 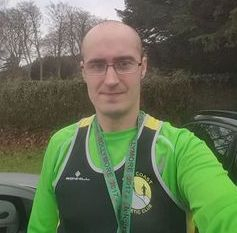 Mark Jordan also got a new half marathon personal best, when he finished in a time of 1:35:04 for 240th place overall; over 3 minutes off his 2016 time at the event. A smiling Brian Maltman was next to be greeted by the expectant crowds along the promenade finish area, the 2016 ‘Most Improved Athlete’ yet again impressed when he clocked 1:38:10 (282nd place). Competing in his second race in as many days, Robert Martin was next, finishing in 1:39:37 for 334th place. Stephen Whelan took over a minute off his 2016 time when he finished in 1:42:25 (420th place). Paul Clarkin was next to cross the line, doing so in 1:44:16 (459th place), before club secretary Drew Girvin in 1:44:57 (473rd place). Iain Bailie, Conor Sheridan and Donal Ward all finished in quick succession, with Iain recording 1:49:36 (620th place), followed by Conor in 1:49:59 (630th place), and Donal in 1:49:34 (636th place). Lionel Date ran well to complete the 13.1 mile route in a time of 1:50:18, claiming 666th place, before William Gallagher took 670th place when he finished in 1:50:10. 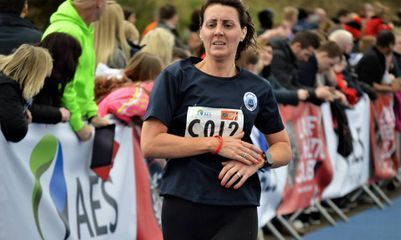 Running for charity, Nikki McNeill was the first lady home for the club and she recorded a massive new personal best for the distance, a time of 1:52:26 (697th place). Gary Hawe was next in 1:52:52 (719th place), followed by Lee Stirling in 1:56:15 (853rd place). 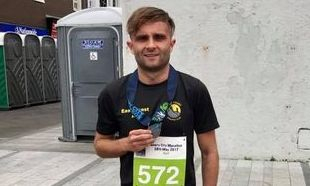 As the runners were coming in thick and fast, Roy McMullan crossed the finish line; taking 937th place in 1:57:22, before Karl Joyce who finished in 1:57:44 (982nd place). 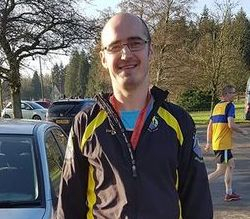 David Finlay recorded a new personal best of 1:59:12 when he finished in 1023rd place. Lynn Magee was the second of the club’s ladies to complete the course, Lynn finished in 2:01:55 to take 1044th place overall. Connie Hodge’s gun to tape time of 2:02:49 meant she was placed 1059th place overall, but her official chip time was 2:01:00. Angela Campbell clocked 2:04:44 for 1132nd place overall, followed by her clubmate and friend, Polly Dix in 2:06:17 (1172nd place). Keith Hetherington was next, running 2:07:44 for the distance to take 1215th place. Competing in her first half marathon, Emma McKeown ran well to finish in 2:11:50 for 1308th place. Tracey Parke and Johanna McIlroy finished in 2:11:54 (1315th place) and 2:12:26 (1329th place) respectively. Mags Clements completed her 2nd ever half marathon in a time of 2:14:53, claiming 1353rd place overall. Club newcomer Dewi Russell impressed with a time of 2:16:56 (1419th place). Friends and training partners Sally McKeown and Valerie Lyttle were next, with Sally running 2:24:27 (1534th place) and Valerie 2:24:13 (1536th place). Dawn Ralph moved up to the full half marathon after completing the relay event last year; Dawn finished in 2:31:12 for 1617th place. Christine Irwin was next, finishing in 2:37:00 (1655th place), followed by Sonia Ross and Stephanie Bird; the duo ran the race together and finished in 1717th and 1718th place respectively with Sonia clocking 2:57:23 and Stephanie 2:57:27. Unfortunately Matthew Hewitt, Molly Fekkes and Fiona Swann had to withdraw from the race due to injury and we wish them all a speedy recovery. In the popular relay event, the club’s members yet again excelled. The ‘Olderfleet Primary School 4’ team which included East Coast AC’s Paula Urwin (with Karen Falconer and Aaron Mulvenna) were placed 2nd overall and 1st Mixed team when they finished in 1:46:30. The team ‘East Coast Trio’ comprising of Ruth Maltman, Kenny Holmes and Katie Glover finished in 3rd place overall and 2nd Mixed team in a time of 1:52:54. Helen Stranney and Morna Wright’s team of ‘Olderfleet Primary School 3’ (along with Michelle Clarke) finished in 8th place overall with a time of 2:01:18. 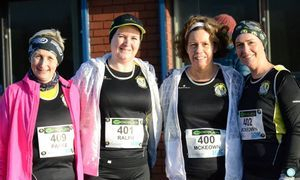 Cyndy Hay and Joanne Knox’s team of ‘Olderfleet 1 (along with Maeve Kennedy) finished in 13th place overall with a time of 2:13:15, followed by Doris Kirby’s team of ‘Olderfleet 2 (along with Sam Slade and Rachel McKay) which finished in 2:19:12 (15th place). East Coast AC would like to thank all members, family and friends who supported the athletes out on the course, offering supplies and well wishes to runners. 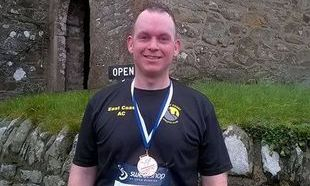 Martin Completes Spar Craic 10k! On St Patrick’s Day (17th March 2017), Robert Martin joined thousands of other participants for the 3rd annual SPAR Craic 10k road race. The race took in an impressive urban route which finished at the picturesque Titanic Slipways. 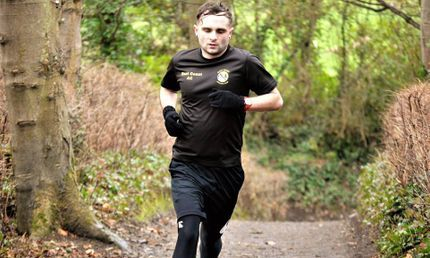 In wet and blustery conditions Robert ran well, in what could be described as his ‘warm-up’ for tomorrow’s Larne Half Marathon – the first of seven events which Robert is taking part in to raise funds and awareness for the Cystic Fibrosis Trust. Robert covered the course in a time of 44:10 which secured him 149th place overall (out of over 1,300 competitors). Juniors Top Podiums at Sense 5k! 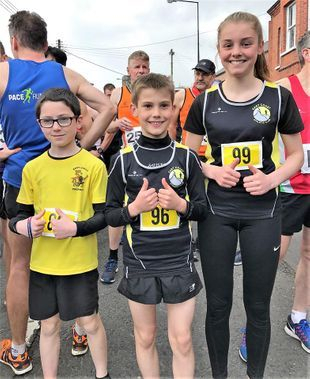 On Sunday 12th March 2016, East Coast Juniors Kelly Patterson, Zoe Whitford and Charlie Patterson, as well as East Coast Cheetahs Soren Stranney and Gemma Stranney completed the Running for Sense 5k and associated fun run in Whitehead. The event, held in Jubilee Wood, was to raise funds for Sense; a national charity which supports people who are deaf blind, have sensory impairments or complex needs, to enjoy more independent lives. In the 5k race, Charlie Patterson was 1st overall, with Kelly Patterson claiming 1st place in the girls race. Zoe Whitford also had an impressive run when she took the next podium spot, claiming 2nd place in the girls category. Soren and Gemma Stranney both ran well in the kids fun run. Alan Glover Wins Race 6 of Club Championship! 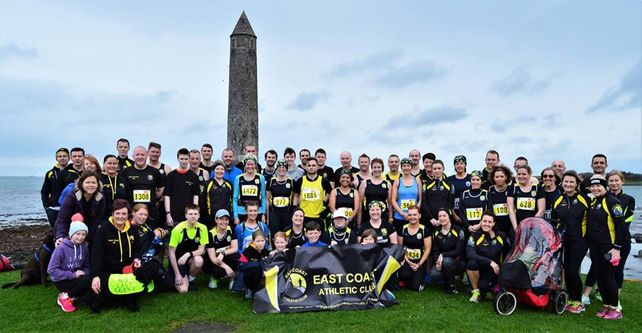 On Sunday 5th March 2017, no less than 28 members took part in the 6th race of the East Coast AC Championship Challenge Series, the 10 mile road race. In good conditions and with a mass start, runners set off together from the Larne Leisure Centre, out towards the town centre before making their way along the coast towards Ballygally. At this point they would turn and make their way south towards the Promenade finish area. The race for first place was between Kevin Lynch and Corey Urwin, and it was a close finish, with Kevin edging clear just three seconds ahead of Corey; Kevin finished in 1:05:27 (1st place), and Corey finished in 1:05:30 (2nd place). Next to finish was Chris Davis who clocked 1:06:59 (3rd place). Murray Deller crossed the line in 1:09:20 for 4th place. Only seconds split Allyson O’Toole and Mark Jordan; Allyson was the 1st lady home and 5th overall in a time of 1:11:13, with Mark following in 1:11:20 (6th place). Brian Maltman was next in 1:13:15 (7th place), followed by Robert Martin and Geoff Sittlington in 1:14:20 (8th place) and 1:16:02 (9th place) respectively. Alan Glover was the next to cross the line, doing so in a time of 1:16:15 which once his handicap was added on to the time meant that he was 1st place in the Championship Series. Drew Girvin (1:16:40 – 11th place) and Phil Smyth (1:16:48 – 12th place) finished just seconds apart, before Donal Ward crossed the line in 1:17:52 (13th place). Ryan Maxwell ran well to finish in 14th place with a time of 1:20:00. William Gallagher covered the 10 mile course in a time of 1:21:07 (15th place), followed by Paul Clarkin in 1:21:27 (16th place). 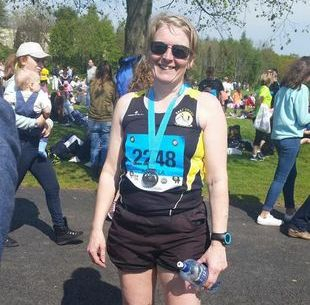 Nikki McNeill proved her training is well on track for the upcoming Larne Half Marathon when she finished in 1:25:00 (2nd place lady), with Lynn Magee following in 1:31:35 for 3rd place lady. Polly Dix and Angela Campbell ran together, with both ladies achieving a finish time of 1:32:31 (4th and 5th place ladies). James Filbey was accompanied by his son as he crossed the finish line, claiming 21st place overall in 1:33:35. Emma McKeown looked strong as she made short work of the final yards, clocking 1:36:30 for 6th placed lady. Jenny Magill (1:37:58 – 7th place lady) and David Finlay (1:38:59 – 24th place) were next to finish. Molly Fekkes, who was using the race as part of a long training run for the upcoming London Marathon, ran well to claim 8th place in the ladies category with a time of 1:44:10. Valerie Lyttle was next, running 1:46:55 (9th place lady), followed by Kelly Deller in 1:52:20 (10th place lady). Podium Spot for Hewitt at WCM 10 Mile Road Race! On Saturday 4th March 2017, Justin Maxwell and Matthew Hewitt well took to the streets of Northern Ireland’s Maiden City, Derry/Londonderry, for the annual SSE Airtricity 10 mile road race. The event is popular with those building towards upcoming 13.1 mile races, or indeed, the events big brother/sister – the SSE Airtricty Walled City Marathon, which will take place on Sunday 4th June 2017. The route, which started in Ebrington Square, hugged the banks of the River Foyle, crossing both the Peace Bridge and the Foyle Bridge before finishing adjacent to St Columbs Park running track. Matthew ran well to claim a podium spot in a time of 56:53 (3rd place), before Justin clocked 57:49 for 6th place overall. 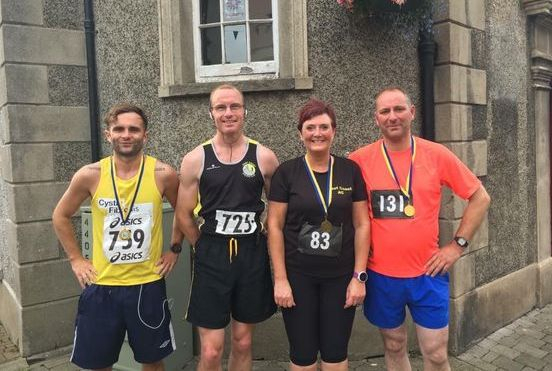 Members Impress in Carlingford Half Marathon! Just over the border in Ireland on Saturday 4th March 2017, three East Coast AC members took on the 26extreme Carlingford Half Marathon held in the coastal town of Carlingford, located on the scenic Cooley Peninsula (approximately 7 miles south of the border). Andy Guy secured 26th place with a finish time of 1:24:00. Friends and clubmates, Karl Joyce and Keith Hetherington both ran well, with Keith clocking 1:54:19 (395th place) and Karl finishing in 2:02:44 for 526th place. Allyson O'Toole Wins Resolution Run! On Sunday 26th February 2017, Allyson O’Toole joined hundreds of other runners as they braved torrential rain and blustery wind for the increasingly popular and well-organised Resolution Run 5k & 10k races, hosted by Stroke Association NI at the Queen’s Sport Complex on the Upper Malone Road in Belfast. A record number of athletes covered the one (5k) or two (10k) lap course, depending on the event they chose – the lap took runners around the QUB Complex towards Barnetts Demesne and Shaws Bridge, along the Lagan Towpath and uphill into the Mary Peters Track, before they made their way back to the QUB Complex; the 5k participants would finish and the 10k runners would complete their second and final lap. NIMAA cross country international Allyson claimed victory in 44:20 (1st place). Members Enjoy Final of Run Forest Run Series! On Saturday 25th February 2017, local events management company Born 2 Run hosted the final race of their Run Forest Run Series, the Castlewellan 10k trail race (and the associated 5k event). The Series has attracted a number of East Coast AC athletes and for the final, Phil Smyth, Brian Maltman and Conor Sheridan took to the start line at the picturesque Castlewellan Country Park in County Down. Brian Maltman was the first of the trio to finish, crossing the line in 47:07 for 73rd place. 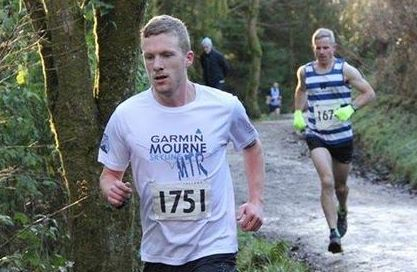 Phil Smyth was next in 47:30 (76th place), followed by Conor Sheridan in 51:36 (141st place). McClements & Dean Impress at Stormont XC! On Saturday 25th February 2017, hundreds of athletes and spectators descended on the home of Northern Ireland’s government, Stormont Estate, for the annual Northern Ireland Civil Service AC Stormont XC. After several days of unsettled weather, athletes were greeted by almost perfect conditions. Two of the East Coast AC Juniors were in action in the competitive junior race programme which set things up for the adult races to follow. In the Under 13 Girls race, Charlotte Dean finished in 9:30 for 18th place. Jessica McClements ran well in the Under 15 Girls race, clocking 13:01 for 10th place. Junior Stars Take Centre Stage! 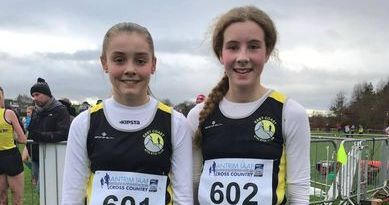 This week, a number of our junior athletes swapped their club vests for the colours of their respective schools, competing at the prestigious Flahavans XC League Final and the Ulster Schools XC, both of which were held at Mallusk Playing Fields. In the Flahavans XC League Final, joint County Antrim section winners Charlie Patterson (Olderfleet PS) and Rhys McManus (St MacNissi's PS) performed to their usual high standard. Up against 200 of theprovinces best up and coming stars, Charlie claimed 5th place with Rhys following closely in 16th place. In the Ulster Schools XC, there were four familiar faces taking part over three different categories - all perform brilliantly! 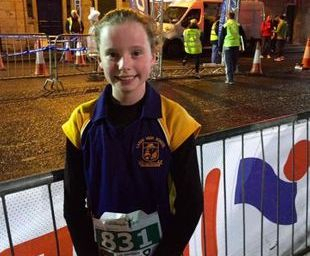 Just two places split Keeva Bell (Larne GS) and Bradie Hogg (Ballyclare HS) in the Mini-Girls category, with Keeva taking 32nd place and Bradie 34th place. In the Junior Girls category, Kelly Patterson (Larne GS) secured 20th place. Jessica McClements (Ballyclare HS) then completed an excellent day for the ECAC athletes with a 46th place finish in the Inter-Girls category. East Coast AC would like to take this opportunity to congratulate Charlie, Rhys, Keeva, Bradie, Kelly and Jessica on their excellent performances. They, and their club mates, continue to do the club and the town proud! Also, a mention must go to the athletes' schools, who supported their involvement in the above events. It's great to see local schools actively promoting participation in athletics, which is the basis of any sport. Date & Filbey Complete Castle Ward Trail Race! On Saturday 18th February 2017, Lionel Date and James Filbey both completed the Atlas Running Castle Ward 8.4 Mile Trail Race; an event which was part of the 'Last One Standing' weekend at the scenic Castle Ward estate in County Down. Lionel finished the two lap course in an impressive 32nd place when he crossed the line in a time of 1:11:37. James followed in a time of 1:20:25 for 52nd place overall. Clements Impresses at Armagh International! On Thursday 16th February 2017, athletes from fifteen countries took to the streets of the Cathedral City of Armagh for the 27th annual running of the Armagh International Road Races, an exceptionally well organised event hosted by Armagh AC. On the night, the atmosphere within the oval shaped 'Mall' area of the historic city was electric, with supporters turning out in force to cheer on the thousands of junior and senior athletes as they took on the flat and fast course. 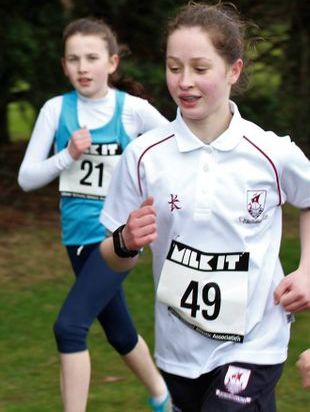 The junior races attracted in excess of 1,200 participants, including East Coast AC’s Hannah Clements. Competing in the Girls 2005-06 race, Hannah ran well to finish in 19th place out of over 100 other competitors. 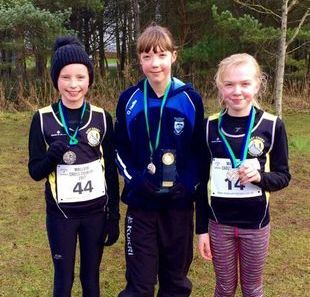 Juniors Dominate the Podiums at Mallusk XC! On Sunday 12th February 2017, Mallusk Harriers hosted their Mallusk Cross Country at the Belfast City Playing Fields. 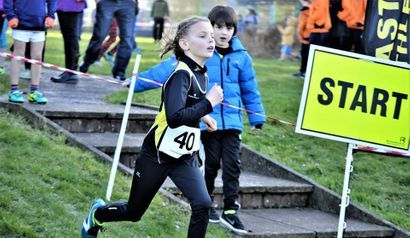 In cold weather conditions a number of the East Coast AC Juniors took part in the Under 11, Under 13 and Under 15 races. 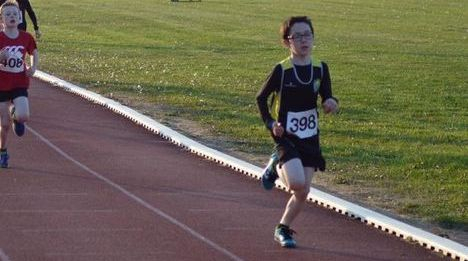 In the Under 11 Boys 0.5 mile race, Rhys McManus cruised to victory in a time of 2:11 (1st place). 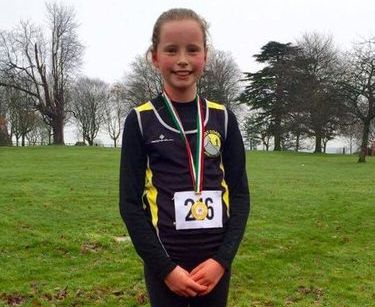 Matilda Dean completed the Under 11 Girls 0.5 mile race in a time of 3:03 to claim 8th place overall. The East Coast Juniors once again dominated the podiums in the next race, the Under 13 Girls 1 mile event; Hannah Clements clocked 6:37 for 2nd place and Charlotte Dean secured 3rd place with a time of 7:36. Jessica McClements also took to the podium when she finished in 3rd place in the Under 15 Girls 2 mile race in a time of15:23. Deller & Sheridan Complete DUNE Half Marathon! On Sunday 12th February 2017, Murray Deller and Conor Sheridan joined a record number of close to eight hundred other competitors for the first race of this year’s Pure Running Half Marathon Series, the DUNE Half Marathon. The cross-border event started at the Quays Shopping Centre in Newry (Northern Ireland) and finished in Market Square in Dundalk (Ireland). Murray completed the 13.1 mile course in a time of 1:29:40 to secure 70th place overall, with Conor following in 2:21:01 for 704th place. 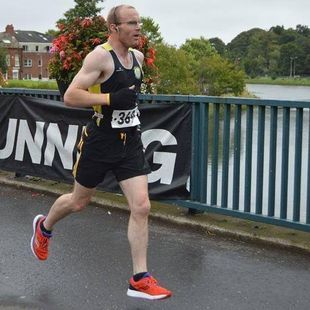 Hewitt Impresses at Raheny 5 Mile! 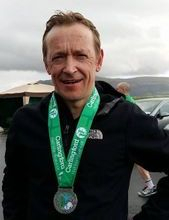 On Sunday 29th January 2017, Matthew Hewitt joined a large Northern Ireland contingent at one of Ireland's most popular road races; the Raheny 5 Mile Road race, just outside Dublin. Despite the wet conditions, Matthew recorded a brilliant 26:20 to secure 25th place in a top class field of well over 3,000 athletes. East Coast AC Juniors Top the Podiums at Junior XC Series! 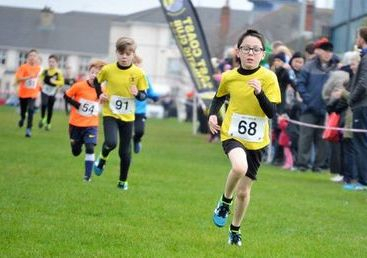 On Saturday 21st January 2017, nearly one hundred junior athletes turned out for Race 2 of the East Coast AC Junior XC Series in Larne, County Antrim. The increasingly popular Series is sponsored by All Stars Sports Academy. Following on from the success of Race 1 two weeks ago, this event saw competitors take on a challenging but enjoyable 650m loop of the Curran Park, with the number of laps being increased with each age category. The Girls kicked off proceedings, with one lap of the new 650m course, and it was East Coast AC’s Rachel Urwin (1st place - 4:08) who topped the podium. Annie Deller followed in 5:40 to take 7th place. East Coast AC boys Soren Stranney and Felix Clark had a great race against each other, both boys battled it out for first place for the entire duration of the race, however it was Soren who edged clear to win in 3:31 (1st place), with Felix following in 3:33 (2nd place). Reuben McClure was the next East Coast Cheetah to finish, crossing the line in 4:45 for 5th place, before Seth McCracken (4:50 – 6th place), Leo Fibley (5:14 – 7th place) and Alfie Urwin (5:17 – 8th place) all followed in quick succession. Young Tobias Taylor claimed 10th place in a time of 6:12. The Minor Girls took to the start line next for their two lap 1,300m race. Hannah O’Toole (East Coast AC) controlled her race from gun to tape, winning in 6:04 (1st place). Lola Hogg replicated her performance from Race 1 with a third place finish, clocking 6:30 for the distance. Robyn McGuckin was the next East Coast AC athlete to finish, doing so in 7:28 (8th place), with Amy McKeen following in 8:02 (12th place). One of the youngest competitors in the race was next, Saoirse Bell, crossing the line in 8:34, to take 15th place. Ellie Gorman (9:10 – 17th place) then led a number of her club mates in towards the finishing straight, with Rebecca Robertson (9:23 – 18th place), Imogen Taylor (9:32 – 19th place), Samantha Braniff (9:32 – 20th place) and Maggie Deller (9:57 – 21st place) all running well. Dallan Bell was the first club finisher in the Minor Boys race, Dallan had a smart race, reducing the gap between him and the front runners throughout the race; he finished in 3rd place in a time of 5:54. Curtis Robertson was next in 6:35 (7th place), followed by Keilan McManus (6:57 – 11th place) and Tom Clarkin (7:19 – 12th place). Mark Magee crossed the line in a time of 8:12 (14th place), before Noah McCracken completed the East Coast AC contingent in a time of 8:45 (15th place). In one of the closest races of the day, the Junior Girls 1,950m metre race, East Coast AC clubmates Bradie Hogg and Hannah Clements battled it out. However, in the final lap, Bradie retired from the race due to illness which left Hannah clear of her closest competitors. 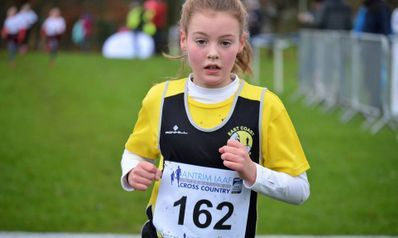 The County Antrim cross country representative kept her composure and cruised to victory in 8:37 (1st place). Like her brother Dallan in the previous race, Keeva Bell showed a smart racing technique, moving up the placings as the race progressed. Keeva finished in 2nd place overall with a time of 8:45. Young Zoe Whitford also impressed when she clocked 9:09 for 4th place, with club mate Lucy O’Toole following in 10:11 (8th place). Rhys McManus and Charlie Patterson once again battled it out in the Junior Boys race, however this time it was for the final podium spot as North Belfast Harriers’ athlete Luke Kelly dominated the race and claimed first place in an impressive time of 7:31. Rhys surged clear from Charlie in the final lap, securing 3rd place in a time of 7:49, with Charlie following 10 seconds later in 7:59 (4th place). Jake Dempsey was the next familiar face to reach the atmospheric finish area, crossing the line in 8:56 for 7th place, followed by Angus Wilson who claimed 11th place in 10:08. The final race of the dat was the Senior Boys and Girls who also covered 1,950 metres (3 laps). In the girls category it was Kelly Patterson who claimed victory with a time of 8:12 (1st place), with Jessica McClements following just five seconds later in 8:17 for 2nd place. Brothers Daniel and Matthew Vasey both impressed in the boys category, with Daniel running 10:48 (5th place) and Matthew securing 6th place in a time of 11:17. The Series finale will take place in two weeks’ time (Sunday 5th February 2017) at the Larne Grammar School Playing Fields on Lower Cairncastle Road in Larne. Full details are available HERE. 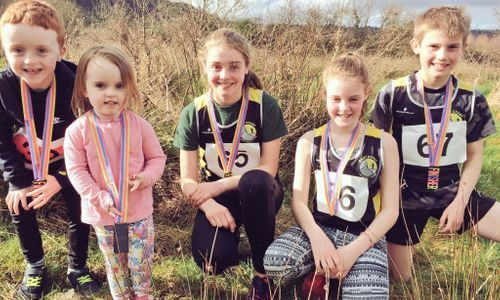 Athletes Impress over 10K at Dungiven & Gosford! 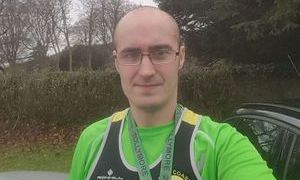 On Saturday 21st January 2017, Justin Maxwell travelled to Dungiven for the 4th annual St Patrick’s College 10k. Justin ran well to claim a spot on the podium with a time of 35:51 (3rd place). Also on Saturday 21st January 2017, nearly seven hundred runners descended on Gosford Forest Park just outside Armagh for the annual Born 2 Run Gosford 10k and the associated 5k race, which was the sixth race of the event management company’s Run Forest Run Series. A regular at the Born to Run events, Brian Maltman took to the start line of the 10k race. Brian ran well to cover the distance in a time of 45:46, claiming 66th place overall. On Sunday (22nd January 2017), Daniel Girvin and Drew Girvin took part in the Sprint Duathlon at Kirkistown Race Track. The course was a 2 mile run, followed by a 10 mile cycle and finishing with another 2 mile run. Daniel finished in 18th place in a time of 59:31 which included a run time of 11:49, followed by a cycle time of 32:50 and a final run time of 14:08. Drew competed all three disciplines in 1:00:12 to finish in 22nd place (run 13:24, bike 31:52, run 13:37). Patterson & McManus Qualify for NI XC Finals! 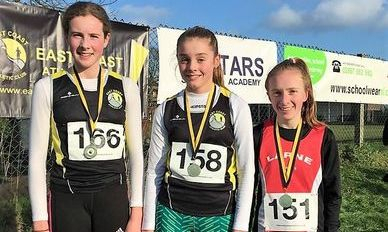 On Thursday 19th January a number of East Coast AC Juniors were competing for their school teams at the Flahavan's Porridge XC League in Grove Park, Belfast. 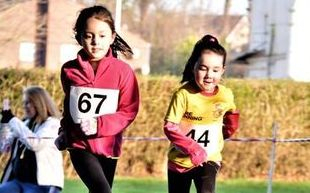 The league runs in seven areas; Co.Down, Southern Area, Co. Antrim, North West, Causeway Coast area, Co-Tyrone and Co-Fermanagh, with East Coast Juniors competing in the County Antrim races. ), before Robyn McGookin in 66th place (7:28 - St MacNissis PS). The boys 1300m race had a total of 114 runners, and Charlie Patterson impressed yet again with a 2nd place finish in a time of 4:54 (Olderfleet PS). Rhys McManus crossed the line just seconds later in 5:01 to take 4th place (St MacNissis PS). Freddy Clark followed in 30th place (5:47 - Olderfeet PS), before Theo McToal (6:09 - St MacNissis PS) and Ewan Davis (6:30 - St MacNissis PS) finished in 56th place and 74th place respectively. The top three schools and top 5 individuals have automatically went through to the NI Final on Wednesday 22nd February at Mallusk Playing Fields. This has meant that CHARLIE PATTERSON & RHYS MCMANUS have both made in through to the NI Finals! Both boys were placed joint first in the overall standings. The top 20 girls and boys from the final will then be invited to join the Flahavan’s Porridge Athletics NI Junior Cross Country Squad for 2017. Juniors Excel at IAAF Antrim International XC! On Saturday 14th January 2016, the eyes of the athletic world were on Northern Ireland, as the highly respected IAAF road show descended on CAFRE's Greenmount Campus in Antrim, for the annual IAAF Antrim International Cross Country. 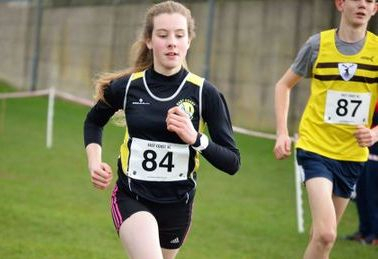 The well-organised, hosted by Athletics NI, also included the British Athletics XC Challenge and was part of the ongoing Athletics NI XC League. Prior to the International events, the exciting programme of competitive age category races ensured that the atmosphere had built sufficiently for the 'main' events. It was in these races that the East Coast AC juniors impressed! Zoe Whitford ran well in the Primary School Girls 1,100m race, crossing the line in a time of 6:56, claiming 28th place. 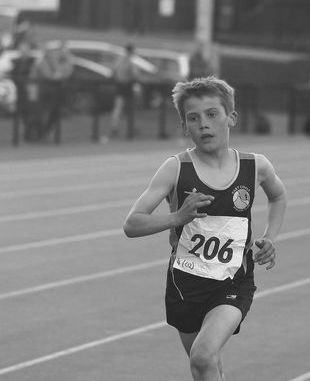 Last years winner of the Primary School Boys 1,100m race, Charlie Patterson returned to defend his title. After being tripped at the beginning of the race, it looked like it would be difficult for the young athlete to make his way back to the front. Charlie showed great determination during the race to move well up the field, finishing in 6th place overall in a time of 5:34. In the same event, Jake Dempsey, a first timer at this race, performed well finishing in 6:30 for 28th place. In the Under 13 Girls 1,800m race, Hannah Clements had a strong run against stiff competition. Hannah finished in a time of 7:45 (45th place). In the highly competitive Under 15 Girls 3,600m race, Kelly Patterson and Jessica McClements once again battled it out over the cross country terrain. Jessica covered the course in a time of 16:46 to secure 31st place, with Kelly following in 17:05 to take 34th place. Larne Junior XC Series - Race 1 is a Major Success! 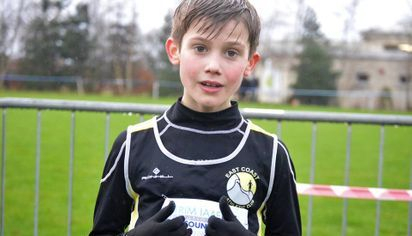 On Sunday 8th January 2017, East Coast AC welcomed over ninety junior athletes, between the ages of 4 years old and 16 years old to the first race of our Junior XC Series in Larne. The distances for each race varied depending on the age group - the Mini's (Under 6) covered a 500m course, while the Minor Boys and Girls (Under 10) covered 1,000m. The Junior Boys and Girls (Under 13) and Senior Boys and Girls (Under 16) took on a 1,500m route. The Mini's kicked off proceedings with their one lap 500m race and it was East Coast AC’s Felix Clarke and Rachel Urwin who led their respective fields home in 2:34 (1st place) and 2:57 (1st place) respectively. In the Mini Girls race, three year old Annie Deller took 4th place in 3:41. In the Mini Boys race, Jacob Bagshaw was the next ECAC finisher, crossing the line in 2:54 (5th place), followed by Reuben McClure (3:19 – 6th place), Alfie Urwin (3:55 – 8th place), and Toby Taylor (4:51 – 11th place) who all ran well. In the Minor Girls 1,000 race, East Coast AC’s Hannah O’Toole enjoyed a comfortable gun to tape victory, crossing the line in 4:19 (1st place). Lola Hogg was overtaken in the final metres of the race to finish in 3rd place in a time of 4:35. Other ECAC results: Katie Monaghan 5:10 (9th place), Eimear Ward 5:19 (10th place), Morgan Beattie 5:37 (16th place), Amy McKeen 5:48 (17th place), Rebecca Robertson 5:58 (18th place), Samantha Braniff 6:30 (20th place), Saoirse Bell 6:41 (22nd place), Ellie Gorman 6:56 (23rd place), Imogen Taylor 7:07 (24th place), Maggie Deller 7:10 (25th place). The Minor Boys event was played out in a similar manner, with North Belfast Harriers’ Max Reid leading out from the start and eventually sealing top spot in 3:49 (1st place). East Coast AC’s Dallan Bell narrowly missed out on a podium spot when he finished in 4:18 for 4th place. Other ECAC results: Sebastian Clark 4:27 (5th place), Sam McKeown 4:28 (6th place), Elliot Bagshaw 4:29 (7th place), Curtis Robertson 4:38 (10th place), Keilan McManus 4:53 (12th place). In the Junior Girls 1,500m race, East Coast AC’s Bradie Hogg held off strong opposition from club mate Hannah Clements to win in 6:18. Hannah followed in 6:25 for 2nd place before East Coast AC’s Keeva Bell finished in 6:33 for 3rd place. Zoe Whitford secured 5th place in 6:58, with Lauren McKeown following in 7:46 and claiming 9th place. The Junior Boys 1,500m race was arguably the race of the day with East Coast AC duo Charlie Patterson and Rhys McManus battling it out until the end – Charlie just edged it in 5:50 (1st place), with Rhys following in 5:55 (2nd place). Jake Dempsey clocked 6:35 for 7th place, while Freddie Clark (6:41 – 9th place), Ewan Davis 7:21 (10th place), and Angus Wilson (7:28 – 11th place) all followed in quick succession. The final race of an excellent day of competition was the Senior Boys and Girls 1,500m. The East Coast AC girls dominated the podium when Jessica McClements claimed 2nd in a time of 6:11, with Kelly Patterson following just two seconds later in 6:13 for 3rd place. The East Coast AC boys also peformed well in the Senior boys race, with Leighton Moore securing 5th place in 6:58, Daniel Gillan claiming 6th place in 7:04, and brothers Daniel and Matthew Vasey finishing in 7th (8:03) and 8th (8:19) place respectively. The next race in the three race Series will take place on Saturday 21st January 2017 in the Curran Park, Larne (Registration opens 10am, Races commence 11am) – The Series is open to Junior athletes from any club, school or organisation (ie football team, hockey team etc). East Coast AC Impress Over the Trails! On Saturday 7th January 2017, County Tyrone based club Sperrin Harriers welcomed athletes from across the province to Race 2 of their ongoing Winter League Trail Series. On this occasion, competitors had to negotiate a 5k route around Lough Fea, in the foothills of the scenic Sperrin Mountains. Matthew Hewitt once again impressed after his first outing of 2017, last week at the Race Over The Glens. Matthew crossed the line in a time of 16:50 to claim 5th place overall. Also on Saturday 7th January 2017, Conor Sheridan and Brian Maltman travelled to Tollymore Forest for the fifth race of local event management company Born 2 Run’s ‘Run Forest Run’ Series, the Tollymore 10k and associated 5k. Competing in the 10k event, Brian Maltman claimed 124th place with a time of 50:06. Unfortunately Conor Sheridan had to withdraw from the race due to an injury, we all wish Conor a speedy recovery. Clements Makes the Podium at Moira XC! 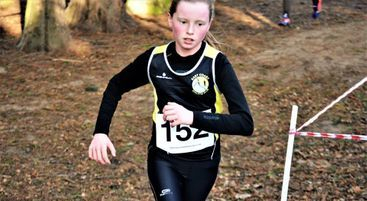 On Saturday 7th January 2017, junior athlete Hannah Clemnts took part in the Moira XC. 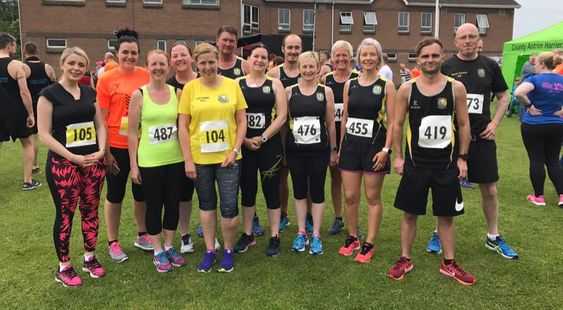 The annual event, hosted by City of Lisburn AC welcomed close to two hundred competitors, which took place within scenic grounds of Moira Demesne close to Hillsborough. Competing in the Year 8 race, Hannah covered the one mile cross country course in a time of 5:43 which secured an impressive third place finish in the girls category. Hewitt Leads the Way for ECAC at Race Over The Glens! On Monday 2nd January 2017, seven hardy East coast AC athletes joined almost four hundred others at the cold but bright Glenariff Forest Park just outside Waterfoot (County Antrim) for the 21st annual running of Ballymena Runners' traditional Race Over the Glens. The course, which measured approximately 6.5 miles in distance, saw athletes start on a fast road section before ascending to the course's highest point where they were greeted by a lone piper; from here, the field negotiated a long descent, at the bottom of which, they would then face a gruelling climb back up towards the piper. The final stretch saw competitors descend towards the finish which was located just off the entrance road into the Forest Park, close to the Exhibition Centre. Matthew Hewitt led the way for the club, claiming an impressive 4th place finish in a time of 38:37. Matthew was followed by Justin Maxwell who clocked 40:32 for 13th place. Corey Urwin, a regular at this event, was next in 45:13 (49th place), before James Robinson took 90th place in 48:21. Richard Vasey ran well to claim 130th place in a time of 51:51, followed shortly after by Alex Robertson who crossed the line in 53:25 to take 142nd place. 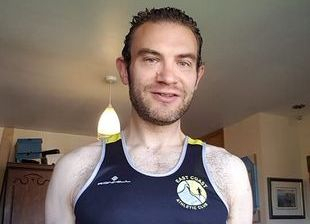 Alan Glover completed the East Coast AC contingent at the event, running 1:00:04 for 247th place.